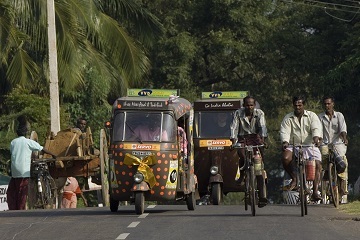 From Chennai on the coast of the Bay of Bengal down through the Tamil Nadu region right around the southern tip of India to Trivandrum on the edge of the Arabian Sea, this is the pioneering Rickshaw Challenge from The Travel Scientists. 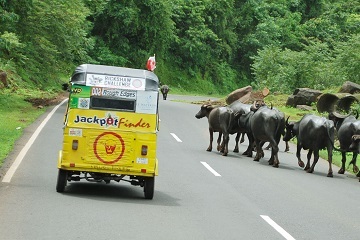 From Panaji in Goa up through the heart of Southern India to Mumbai this adventure in India in one of our trusty Rickshaws lets you encounter this stunningly beautiful country with its ancient cultures, astonishing temples and amazing people. 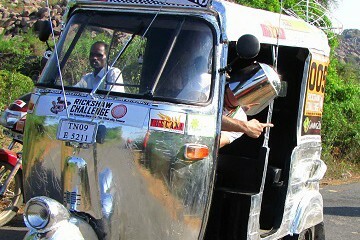 Journey across beautiful India in any vehicle from Chennai to Goa. Experience a trip to India like no other as you travel nearly 1,500 miles through the amazing landscape of this magical country on the busy and colorful streets of India. From the city of Trivandrum this is a coastal burn North through the amazing landscape of Southern India, traveling up the Western edge of this magical country till you reach the world renowned party towns and paradise beaches of Goa. 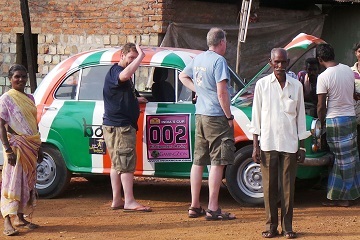 From the vibrant capital Mumbai on the Arabian Sea, along the beaches of Goa right across the spine of India to Chennai on the Bay of Bengal this is an adventure on three wheels through the heart of India's history, culture and landscape. 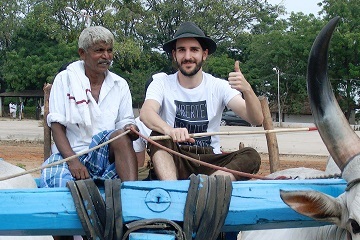 A unique and authentic experience of the real rural India. 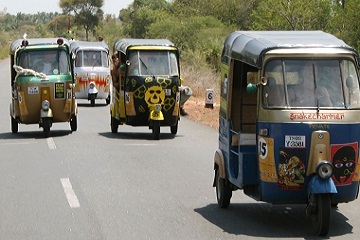 With a pair of bulls to power you this is a journey into rural India at a sedate pace, the most environmentally friendly way to travel into the heart of the Tamil culture.